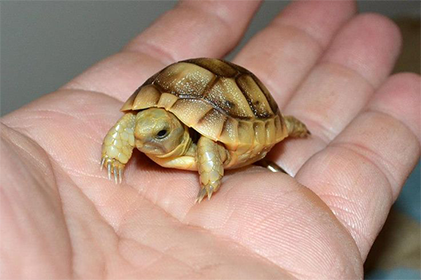 Our premium Russian Tortoises are raised by a top industry leading professional breeder and are in peak health. Free “Russian Care Made Easy” digital video/audio/text course with purchase to help you set-up housing and food perfectly. These tortoises are raised with the best diet and environment to ensure that they are the happiest & healthiest pet for you to enjoy! Your choice of a new hatchling or young adult. Your purchase will include “Russian/Horsefield Care Made Easy” digital video, audio and text guide that shows you exactly how to get set up the right way including housing, diet, food and hibernation. Our premium Russian tortoises are professionally bred in-house in the U.S. and will be shipped to you with overnight shipping (U.S. shipping only). I purchased one on October 2017 and she has been amazing. She loves to bob her head up and down to music and my son loves her to death. Great pet for a first timer or child. I just received my tortoise today and so far everything has gone well and it has been a pretty easy process (especially with the help of the course). Thanks a million!! They were so helpful thank you guys so much! I have a lot of questions before I bought and they could’t have been more helpful and with the whole buying process and set up. We love our new family pet! I got my son a Russian tortoise pet from here about 6 months ago. His pet “Gilbert” is still very healthy and I haven’t had any issues. Thanks so much! We got our tortoise fast the next day and he has been a little energetic ball of joy! The course it came with was also really helpful. 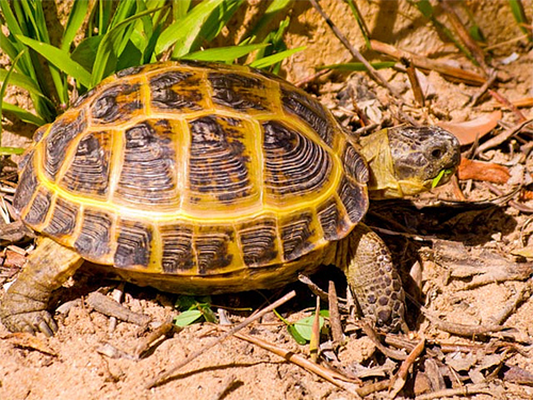 We would definitely recommend buying through Russian-Tortoise.com.